Do you know WHO YOU ARE? Do you know why you have certain behavioral traits and preferences or fears? Do you know why you have certain gifts or talents? Do you know why you encounter certain hardships in your life? Have you asked what are you meant to be doing with your life? Are you on your path? Why have you had to deal with certain relationships? Why do you keep attracting certain jobs and certain types of people into your life? How can you break the negative patterns? How can you find real happiness? WE CAN HELP YOU. Join Donnalynn Civello,Intuitive Life Coach and Author of “Life Lessons, Everything You Ever Wished You Had Learned in Kindergarten” as she partners with the amazing team at UPBUILD, Professional Coaches and Speakers, Rasanath Das and Hari Prasada as they teach you the wisdom of the Enneagram & Numerology as it relates to IDENTIFYING YOUR PERSONALITY TYPE and LIFE LESSONS. Through this process you will be able to identify your distinct PERSONALITY TYPE (out of 9 personality types) and uncover your specific LIFE LESSONS (out of 9 life lessons) in this lifetime. You can understand your life better when you learn who you are. Hey LOS ANGELES! 2nd stop on my “Life Lessons” Book Tour, LA…! 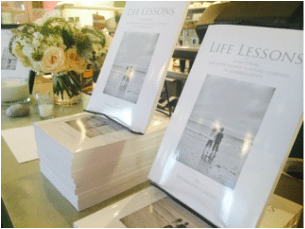 Come out and join me as I partner with the amazing ‪#‎yogini‬ and ‪#‎empowerment‬‪#‎coach‬, Fern Langham for an afternoon of “LIFE LESSONS IN LOVE” at the beautiful new Springs yoga studio in DOWNTOWN LA. We will be discussing 5 simple rules and practices for attracting & maintaining REAL LOVE. We promise you – you will walk away with a very different perspective on what REAL LOVE is and be given powerful and practical tools for manifesting that love – Sunday, November 8th, 2:00-4:00 pm. 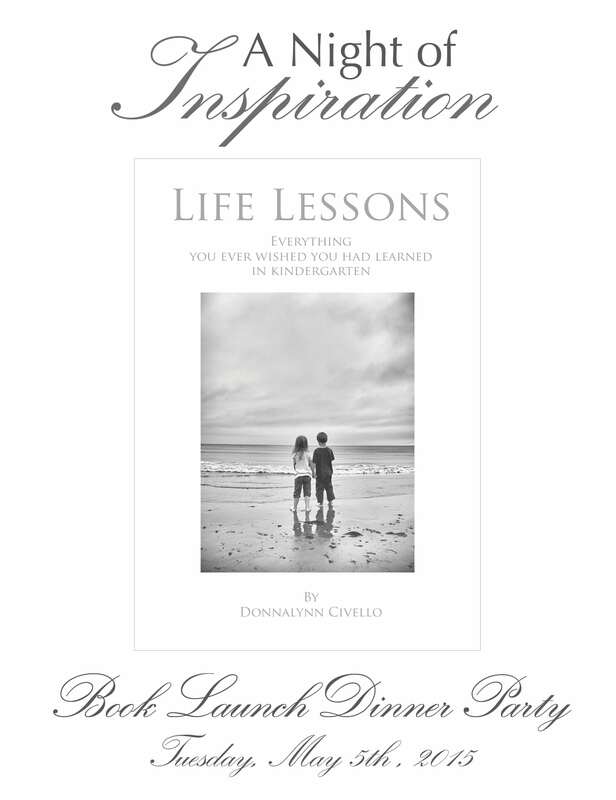 You are cordially invited to a special 5-Course Vegan Dinner Party & Champagne Toast in honor of Donnalynn Civello & the launch of her new book, “Life Lessons: Everything You Ever Wished You Had Learned in Kindergarten.”It will be a night of inspiration, as Donnalynn will be reading from some of her essays on life lessons and sharing some intimate personal experiences of her own through her journey into understanding her life lessons and the challenges she has faced along her path. She will be introduced by Arnaud Collery of Stand Up For Passion (www.standupforpassion.com) and also be joined by a couple other Inspirational speakers who will tell some of their inspiring stories.To sign up, either call Jivamukti Yoga, 212.353.0214 or go to Jivamukti Yoga. Deliciously Healthier Alternatives to All Your Thanksgiving Favorites! Chef April’s Tasting Menu: Pumpkin Apple Walnut Rice, Sauteed swiss chard with raisins & pine nuts, Tempeh Loaf Baked Sweet Potatoes & Apples and Pumpkin Spice Quinoa Pudding. Gone are the days of festive holiday feasting on high fats, toxic sugars and processed carbohydrates. A richly indulgent and Vegan Thanksgiving table awaits you with cleaner, less acidic ingredients and more powerful/ superfood nutrients. Join Certified Ayurvedic Nutritionist and Holistic Health Coach, Donnalynn Civello CHHC, AADP and April DeChagas, Vegan Chef as we help you design your healthy Thanksgiving Day menu! Celebrate Thanksgiving with us as we invite you home to our table to discuss our nutritionally-sound and simply decadent alternatives to the traditional favorites! Bring your appetite! We look forward to seeing you! SPACE IS LIMITED. Registration is required. Please reserve your space by calling Jivamukti directly at 212.353.0214. Registration deadline is November 21st. Cost: $75/person. Did you know that our country faces an epidemic of Depression? We are over 100x more depressed today than we were in the early 1900’s. Mood swings, irritability, anger and stress are close behind. The usual healing protocol includes a bevvy of prescription drugs to “numb” us into some type of orchestrated “happiness.” This never works. Drugs do not fix the problem, they band-aid it. Join Ayurvedic Nutritionist and Certified Holistic Health Coach, Donnalynn Civello CHHC, ADDP and Alison Smith, Vegan Chef as we explore the key nutritents needed for mental health and happiness including raw foods, superfoods, amino acid therapies and other vitamins, minerals & herbs. The body begins to heal from the inside out when we treat it with natural means. There is no need to live under a dark cloud of pain any longer. Empower yourself and come learn how you can start to find your smile again. Sample some raw food bliss and learn how these beautiful, clean foods are promoting mental clarity and emotional stability. SPACE IS LIMITED. Please reserve your space by calling Jivamukti directly at 212.353.0214. Registration deadline is October 25th. Cost: $70/person. Early-Bird special – $65/person by October 1st. Do you ever feel stuck in your life? Do you feel like you never have enough money? Are you always searching for the right relationship and never finding it? Do you ever feel stuck in your life? Do you feel like you never have enough money? Are you always searching for the right relationship and never finding it? Join Ayurvedic Nutritionist and Holistic Health Coach, Donnalynn Civello, CHHC, AADP, at Svanand Yoga and learn about the Subtle Body and the 7 Chakras and discuss how blockages in these chakras can create problems for our emotional wellbeing and our physical bodies. Learn how to diagnose blockages, heal them and prevent them from happening. Once we understand the 7 Chakras and the Subtle Body and learn how to care for them properly, we learn to transcend worldly problems and live the best lives we can. Spring has sprung and summer is just around the corner! Now is the time when we clean out our physical and emotional attics from the hibernation and stagnation of the cold winter months. 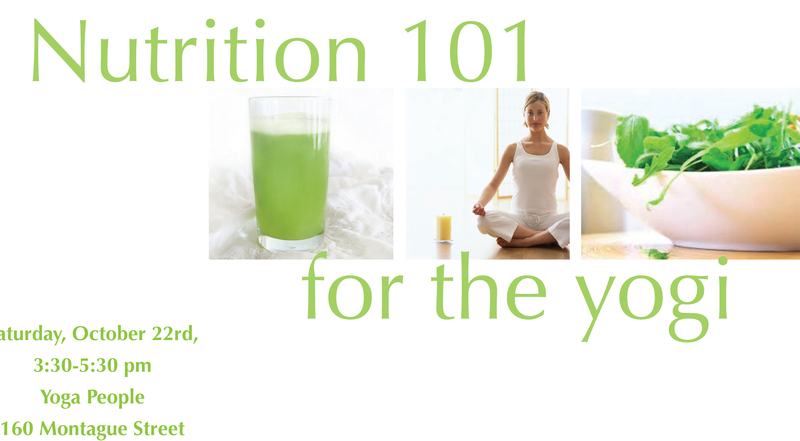 Join Ayurvedic Nutritionist and Holistic Health Coach, Donnalynn Civello, CHHC, AADP, at New York Yoga and learn about the benefits of juice cleansing. We will discuss the ways in which a juice cleanse cleans out the physical, mental and emotional toxins from the body and allows you to feel cleaner, lighter, more energized, more focused and much happier!Benefits of a juice cleanse include weight loss, better skin, better health, better sleep patterns, less stress and more ease and contentment in every day interactions. We will explore specific homemade juicing recipes and smoothies and also discuss organized manufacturer cleanses. Mini-samplng of homemade and commercial juices is included. This season reboot your system, reduce inflammation in the body and generally feel more energized and inspired to be the best you can be! SPACE IS LIMITED. Please reserve your space by calling New York Yoga directly at 212.717.9642 or register online at www.newyorkyoga.com. Registration deadline is Friday, May 10th. Cost: $50/person. What is a clean diet? How do you know if you are eating the right foods? Why do certain foods drain you of your energy and negatively impact your emotions? Why is it so difficult to control your weight these days? Join Ayurvedic Nutritionist, Donnalynn Civello CHHC, AADP and April DeChagas, Vegan Chef as we explore and learn how to easily integrate cleansing and high vibrational foods into our diet. In this interactive workshop, we will learn simple ways to prepare some basic clean meals while learning about the role of food & mood (bad mood foods), acidic & alkaline balance (for maintaining healthy ph), the stress cycle & weight gain, natural healing with herbs & amino acids (natural anti-depressants, stimulants, etc..), organic foods, the merits of a vegan diet, principles of cleansing & detoxing, the world of raw & superfoods and the future of nutrition. Chef Tasting is included. Bring your appetite! SPACE IS LIMITED. Registration is required. Please reserve your space by calling Jivamukti directly at 212.353.0214. Registration deadline is April 18th. Cost: $70/person. Early-Bird special – $65/person by April 1st. Did you know that anxiety is the most common mental illness in the U.S. today affecting 40 million adults ages 18+? Approximately ½ of all anxiety sufferers will seek some type of medical or holistic healing attention. The other ½ suffer in silence. Anxiety and it’s sister, Panic, do not have to be a debilitating roadblock to your daily existence. Join Donnalynn Civello, 500-hr RYT Yoga Teacher and Holistic Health & Wellness Coach will take you through a yoga class specially for reducing your anxiety levels. Incorporating Pranyama (breathing techniques), Visualization techniques, Meditation, Asana (active and restorative), Aromatherapy and Nutrition, Donnalynn will teach you how to address your anxiety and release it from your energetic and physical bodies with ease. You will learn new strategies to cope with your anxiety and new ways to find balance and harmony between your mind, body and emotions. To sign up contact Element Natural Healing Arts directly – (718) 855-4850. For many people, headstand is the pose that most people fear. Generally they think they are afraid of falling over. In reality is a reflection of their fear of “turning their life upside down.” Either way, the way to get over your fears is to do the thing that most frightens you. Join Donnalynn Civello, 500-hr RYT and Certified Holistic Health and Wellness Coach for an afternoon of confronting your fears. Donnalynn makes inversions fun and manageable; she takes the fear out of the unknown and provides support and encouragement to everyone individually helping them evolve in their inversion practice. To sign up, call YoGanesh directly at 646.326.7471. New year, new you! The holidays are over, now is the time to clean out from all the partying and get our minds and bodies in shape for a bright year ahead. Join Ayurvedic Nutritionist and Holistic Health Coach, Donnalynn Civello, CHHC, AADP, at Yoga People Brooklyn Heights and learn about the benefits of juice cleansing and fasting. We will discuss the ways in which a juice cleanse cleans out the physical, mental and emotional toxins from the body and allows you to feel cleaner, lighter, more energized, more focused and much happier! Benefits of a juice cleanse include weight loss, better skin, better health, better sleep patterns, less stress and more ease and contentment in every day interactions. We will explore specific homemade juicing recipes and smoothies and also discuss organized manufacturer cleanses. Mini-samplng of some commercial juices is included. This season reboot your system, reduce inflammation in the body and generally feel more energized and inspired to be the best you can be! SPACE IS LIMITED. Please reserve your space by calling Yoga People directly at 718.522.9642. Registration deadline is Wednesday, February 6th. Cost: Early Bird Special: $50/person by Feb 2nd, after that $60/person. Did you know that our country faces an epidemic of Depression? We are over 100x more depressed today than we were in the early 1900’s. Mood swings, irritability, anger and stress are close behind. The usual healing protocol includes a bevvy of prescription drugs to “numb” us into some type of orchestrated “happiness.” This never works. Drugs do not fix the problem, they band-aid it. Join Ayurvedic Nutritionist and Certified Holistic Health Coach, Donnalynn Civello CHHC, ADDP as we explore the key nutritents needed for mental health and happiness including raw foods, superfoods, amino acid therapies and other vitamins minerals & herbs. The body begins to heal from the inside out when we treat it with natural means. There is no need to live under a dark cloud of pain any longer. Empower yourself, and come learn how you can start to find your smile again. We are partnering with Gingersnaps Organic, East Village to sample some raw food bliss and learn how these beautiful, clean foods are promoting mental clarity and emotional stability. SPACE IS LIMITED. Please reserve your space by calling Jivamukti directly at 212.353.0214. Registration deadline is October 19th. This workshop will take a closer look at some of the most nutritious and healing raw foods on our planet. As superior sources of anti-oxidants, omega 3-fatty acids, live enzymes, protein, fiber, amino acids and other vitamins & minerals, superfoods have transformative properties that enable weight loss, detox/cleansing, and supreme health and vitality. 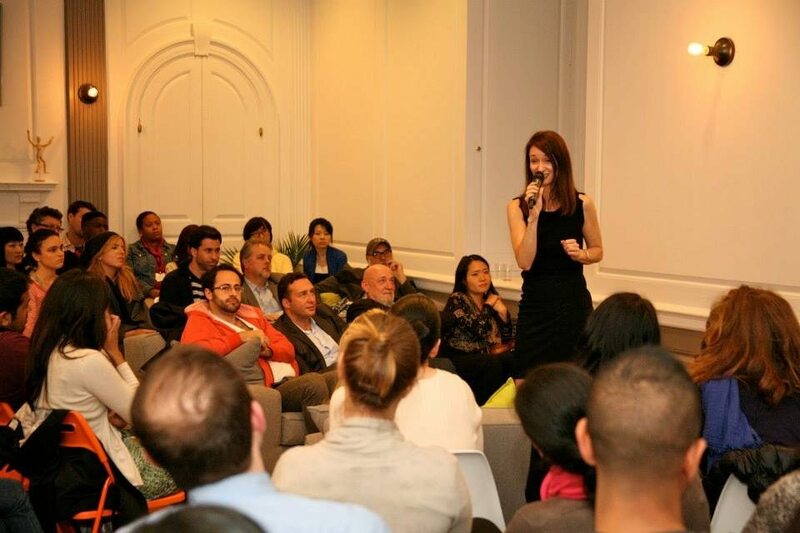 Together we will discover the top 10 Amazonian superfoods and the top 5 honorable mentions. Join Holistic Health Coach, Donnalynn Civello HHC, ADDP and manager of Jivamuktea as we as we taste our way through some of these well-known and not-so-well known superfoods. Bring your curiosity and appetite! SPACE IS LIMITED and is offered on a first come, first serve basis! Reserve your space today by calling Yoga People directly. Do you know what your body type (dosha) is? Do you know how it affects you physically, mentally and emotionally? Do you know how to bring your body type back into balance when you are experiencing an imbalance? 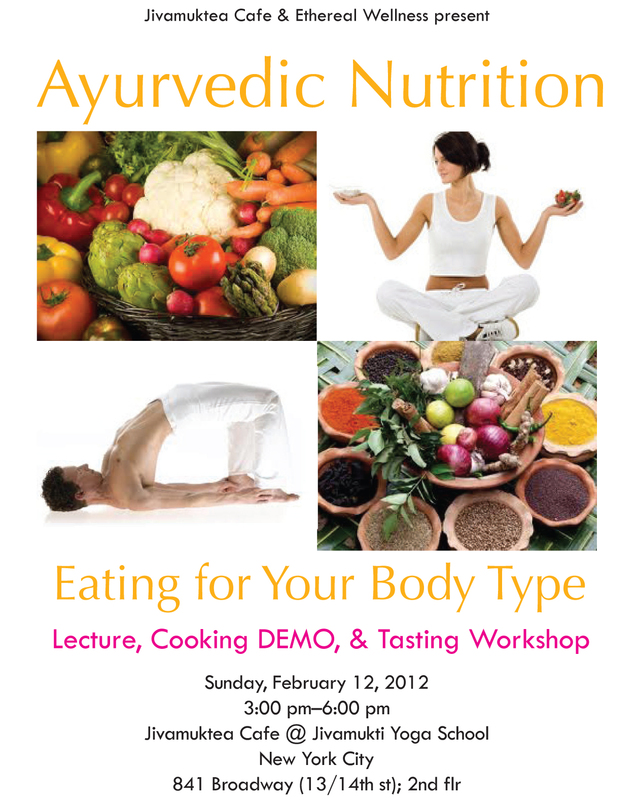 YoGanesh and Ethereal Wellness present a special workshop on Ayurveda 101, Understanding Your Body Type. Join Ayurvedic Nutritionist & Holistic Health Coach, Donnalynn Civello CHHC, ADDP as we explore the role of Ayurveda in relationship to understanding ourselves. Through a group examination, we will each learn our individual dosha and begin to understand why we are the way we are – in other words, why we are predisposed to certain behaviors and attributes (e.g depression, anxiety, optimism, jealousy, weight gain, heart disease, mood swings, stress, premature aging, etc…). You will learn to know when your body type is out of balance and then learn ways to rectify the imbalances. Life gets much easier and much happier when you learn to give yourself what you need. Spring has sprung and summer is just around the corner! Now is the time when we clean out our physical and emotional attics from the hibernation and stagnation of the cold winter months. 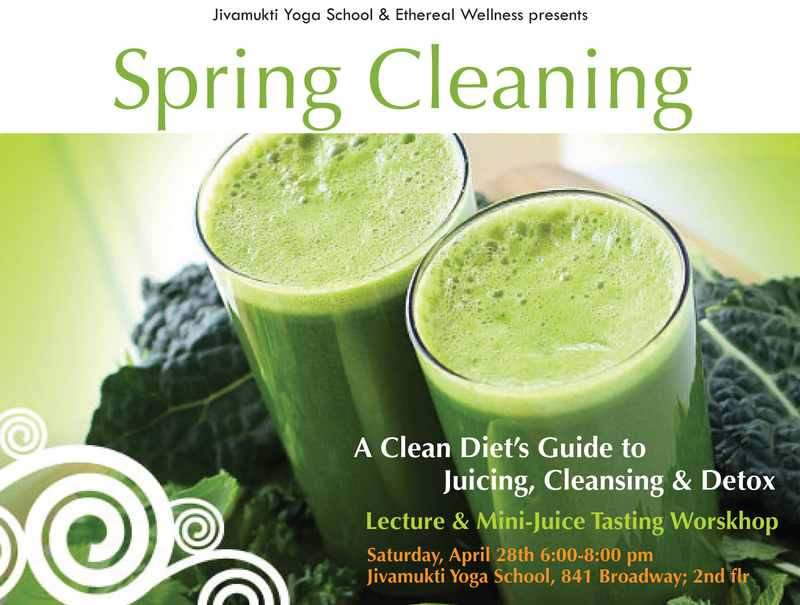 Join Ayurvedic Nutritionist and Holistic Health Coach, Donnalynn Civello, CHHC, AADP, at Jivamukti Yoga School and learn about the benefits of juice cleansing and fasting. We will discuss the ways in which a juice cleanse cleans out the physical, mental and emotional toxins from the body and allows you to feel cleaner, lighter, more energized, more focused and much happier! Benefits of a juice cleanse include weight loss, better skin, better health, better sleep patterns, less stress and more ease and contentment in every day interactions. We will explore specific homemade juicing recipes and smoothies and also discuss organized manufacturer cleanses. Mini-samplng of homemade and commercial juices is included. This season reboot your system, reduce inflammation in the body and generally feel more energized and inspired to be the best you can be! SPACE IS LIMITED. 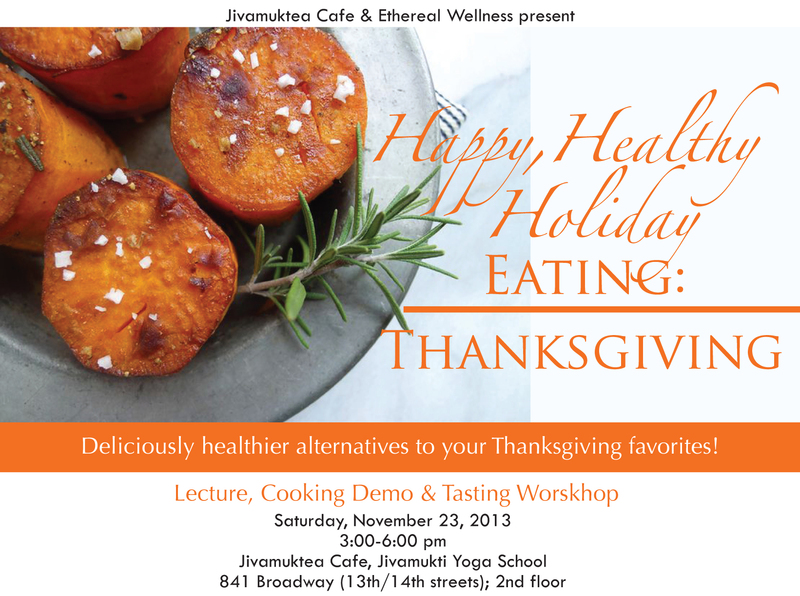 Please reserve your space by calling Jivamukti directly at 212.353.0214. Registration deadline is Friday, April 27th. Do you ever feel stuck in your life? Do you feel like you never have enough money? Are you always searching for the right relationship and never finding it? Come and join me at Yoga People as I walk you through the 7 chakras and discuss how blockages in the chakras affect you emotionally, mentally and physically and learn ways to unblock yourself so you can create space for real happiness. SPACE IS LIMITED. Reserve your space today by calling Yoga People directly. Do you know what your body type (dosha) is? Do you know how it affects you physically, mentally, and emotionally? Do you know how to balance your body type with the proper nutrition? 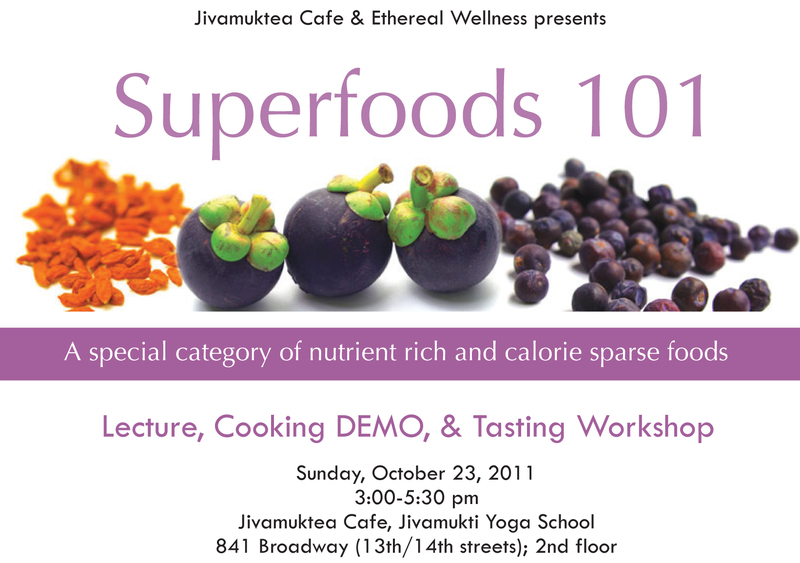 Jivamuktea Cafe and Ethereal Wellness present a special workshop on Ayurvedic Nutrition. 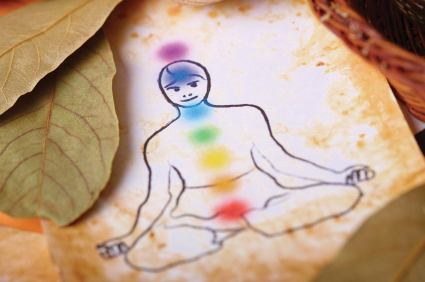 Known as the “Science of Life,” Ayurveda is one of the oldest medical systems in existence today. Join Ayurvedic Nutritionist & Holistic Health Coach, Donnalynn Civello CHHC, ADDP, and Kevin Archer, Certified Vegan Chef and manager of Jivamuktea as we as we explore the role of Ayurveda in relationship to understanding ourselves. Through a group examination, we will each learn our individual dosha and explore the role that nutrition and clean eating plays with regards to supporting our particular dosha and enabling us to live a healthier and happier life. We will be cooking foods to help balance each body type. Bring your pad and paper and bring your curiosity and appetite! SPACE IS LIMITED and is offered on a first come, first serve basis! Reserve your space today by calling Jivamukti Yoga School directly at 212.353.0214 and ask for the operator. Deliciously healthier alternatives to all your holiday favorites! Gone are the days of festive holiday-feasting on high fats, toxic sugars and processed carbohydrates. A richly indulgent holiday table awaits you with cleaner, less acidic ingredients and more powerful nutrients. 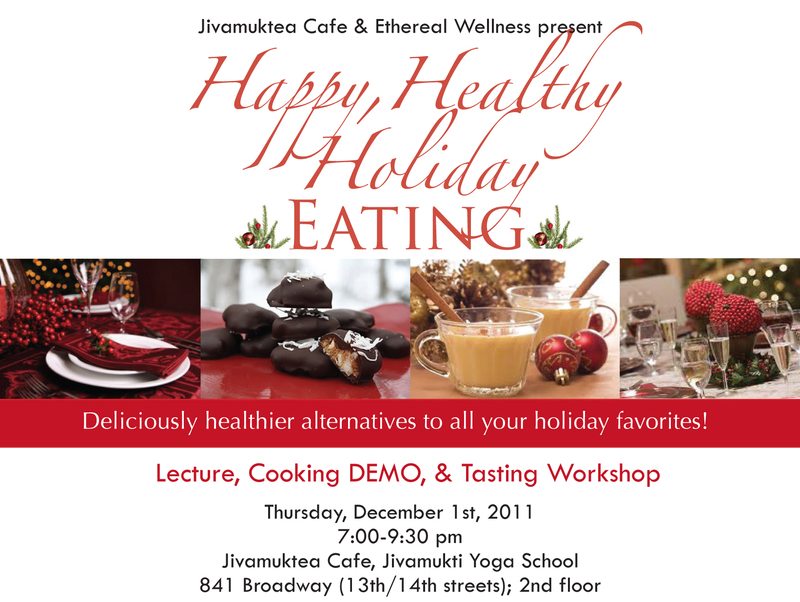 Join Certified Ayurvedic Nutritionist and Holistic Health Coach, Donnalynn Civello CHHC, AADP and Kevin Archer, Certified Vegan Chef and General Manager of Jivamuktea Caféas we help you design your healthy holiday menu! Come out and celebrate the holidays early with us as we invite you home to our holiday table to discuss our nutritionally-sound and simply decadent alternatives to the traditional favorites. Dress festive and bring your appetite! We look forward to seeing you. This workshop will take a closer look at some of the most nutritious and healing raw foods on our planet. As superior sources of anti-oxidants, omega 3-fatty acids, live enzymes, protein, fiber, amino acids and other vitamins & minerals, superfoods have transformative properties that enable weight loss, detox/cleansing, and supreme health and vitality. Together we will discover the top 10 Amazonian superfoods and the top 5 honorable mentions. Join Holistic Health Coach, Donnalynn Civello HHC, ADDP, and Kevin Archer, Certified Vegan Chef and manager of Jivamuktea as we as we taste our way through some of these well-known and not-so-well known superfoods and learn how to create easy and delicious recipes with them! Bring your curiosity and appetite! What is real nutrition? How do you know if you are eating the right foods? Why do certain foods drain you of your energy and negatively impact your emotions? Why is it so difficult to control your weight these days? Join Donnalynn Civello as we discuss the perils of the American diet and how our diets are contributing to high levels of obesity, cancer, type 2 diabetes, and other chronic forms of disease. In this workshop, we will explore the role of food and mood (bad mood foods), as well as address acidic and alkaline foods (maintaining a healthy pH in the body) the stress cycle (how the body reacts to external stressors and stress foods), natural healing with herbs and amino acids (natural anti-depressants, stimulants, etc..), organic foods, the merits of a vegan diet, principles of cleansing and detoxing, the world of raw foods and the future of nutrition. Food samples will be provided. To sign up: Call 718.522.9642 to reserve your space! As yogis we require a clean, satvic diet – fresh whole foods, rich in prana and free of toxins. 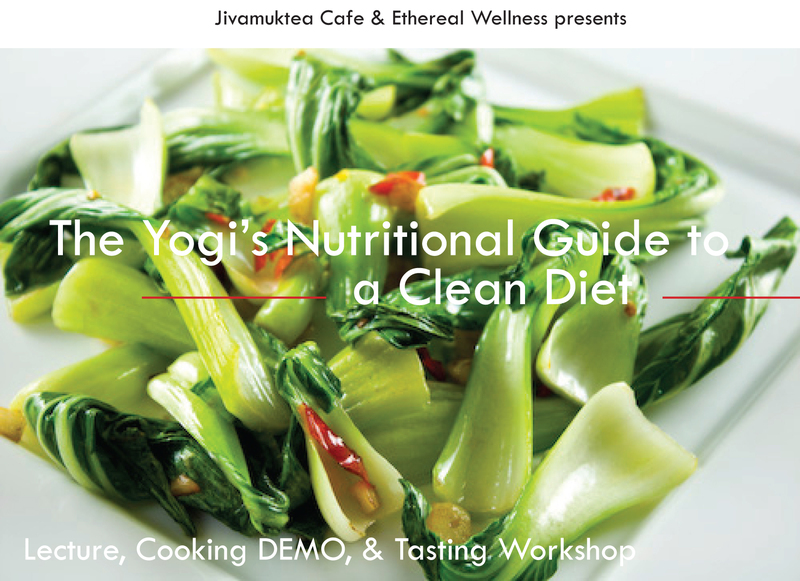 Join Holistic Health Coach, Donnalynn Civello hhc, aadp, and Kevin Archer, Certified Vegan Chef and manager of JivamukTEA as we will explore and learn how to easily integrate cleansing and high vibrational foods into our diet. In this interactive workshop, we will learn simple ways to prepare some basic clean foods while learning about the role of food & mood (bad mood foods), acidic & alkaline balance (for maintaining healthy ph),the stress cycle & weight gain, natural healing with herbs & amino acids (natural anti-depressants, stimulants, etc..), organic foods, the merits of a vegan diet, principles of cleansing & detoxing, the world of raw & superfoods and the future of nutrition. Food samples will be provided. We promise an inspiring and enlightening afternoon of eating!